The perfect match for the very latest cutting-edge TV displays, MTV9600D outputs full 4K HDR at a smooth 60 frames per second and supports playback of the very latest video codecs such as Google's VP9. Supporting the latest DRM techologies including WideVine, Magic TV™ can now also play 4K YouTube. 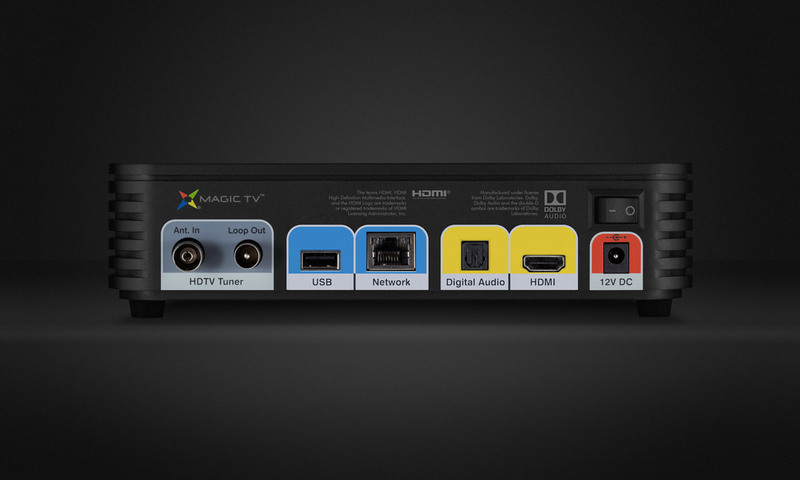 Our unique dual-system design provides full Magic TV™ dual-tuner recording with simultaneous use of any App. 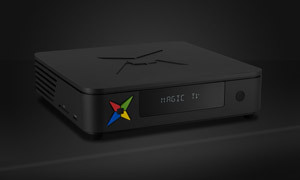 Watch 4K YouTube safe in the knowledge that Magic TV™ will record your favourite shows. Supporting full 4K output from compatible apps and on-demand TV services. 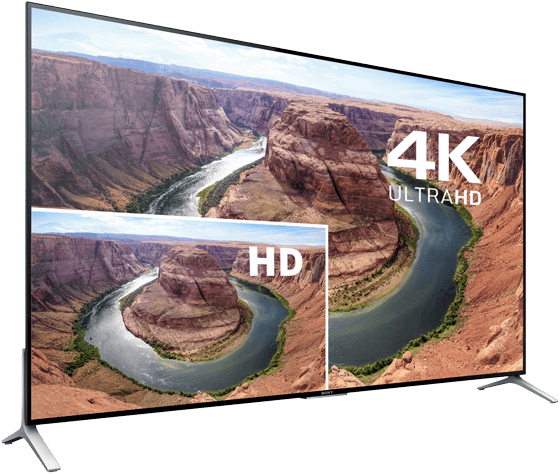 Incredible Pixel Magic quality 4K upscaling is provided for HD Digital TV channels, media and apps. MTV9600D can deliver over 8 million individual pixels. That’s four times more detail than Full HD. Magic TV™ processing ensures that every pixel displays with superb quality. 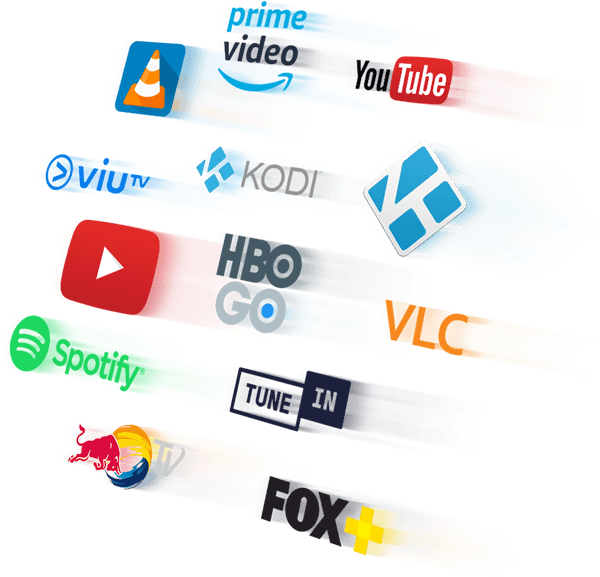 YouTube, ViuTV, Kodi and more! 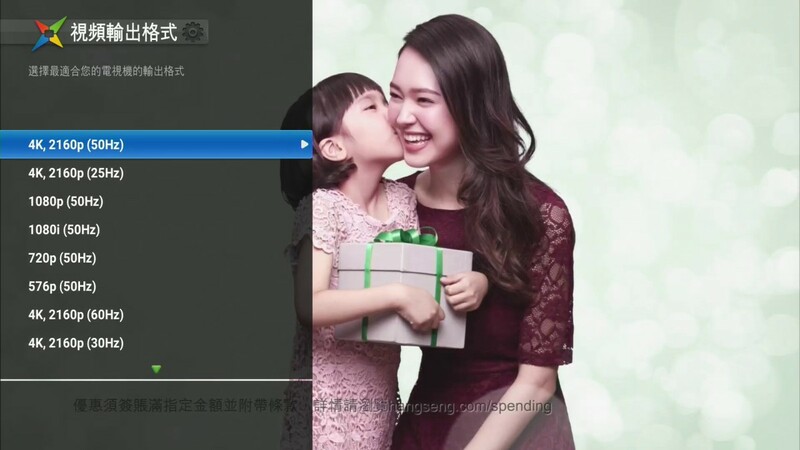 Integrated 3rd-Party apps are available directly from the Magic TV™ main menu. 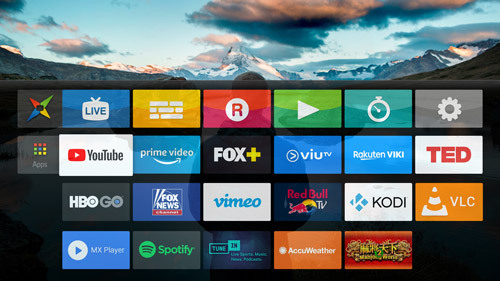 Apps that support 4K video like YouTube, VLC and Kodi play at full 4K to your TV! Because of the unique Magic TV™ design, you can use the apps without disturbing your TV recording. Clearly see what's on now and next with the new Mini EPG. Effortlessly browse channels and set recordings without leaving the current programme. MTV9600D features the latest Magic TV™ user interface to offer powerful new features while being familiar to existing owners. Nobody else has an EPG like this! Dedicated slots for use with the new Magic TV™ Apps. Play media from your camera's SD card or other USB-attached storage. 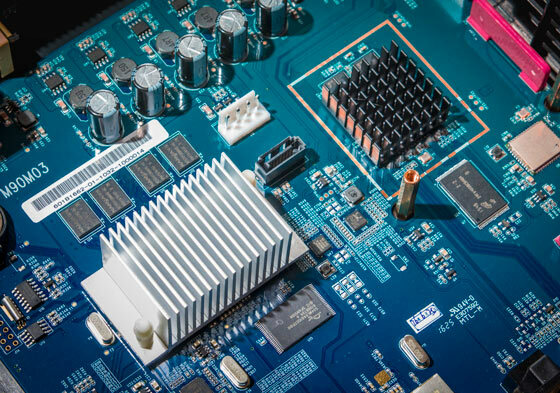 For the first time in a Magic TV™ model, fast wireless networking is built in. Instantly access your home internet connection to enable the iEPG and other features and Apps. Set Magic TV™ recordings from your browser! Simply connect Magic TV™ to the Internet and log in to the Remote Recording website. Wherever you are, you can now browse and search programmes, look up programme information, and set Single, Series or Repeat Recordings. You can now share recordings made on one Magic TV™ unit throughout your home to other Magic TV™ units. Access all of your recordings from any room in the house! Simply add multiple Magic TV™ units to your home network. Note: Wired ethernet only. Wi-Fi is not supported. 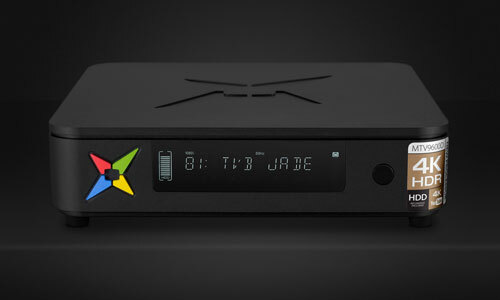 Magic TV™ MTV3100 and other older models containing the Sigma SMP8635 chip can view other Magic TV™ recordings but not share their own recordings. Required network connection using LAN cable. 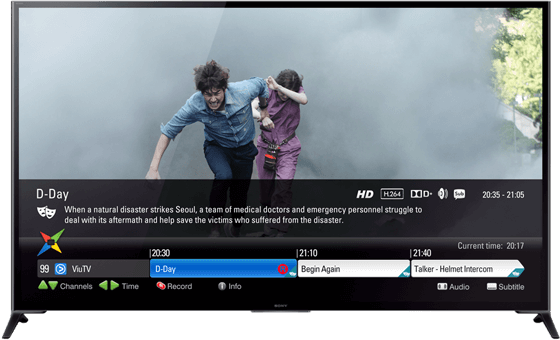 Adding an Internet connection provides Magic TV™ with unique programme data and unlocks powerful recording features. Enhanced Electronic Programme Guide. Featuring genre icons, genre browsing and increased programme data. Pixel Magic have a reputation for superior audio and video quality, and every component has been chosen especially for its ability to communicate every detail available from 4K video streaming and digital HD broadcasts. Dual processor architecture allows for seamless simultaneous recording and app usage! Dual tuners allow the recording of any two programmes simultaneously. One Touch Channel Select — assign channels to a single number key. 1.5x, 2x, 4x, 8x, 16x, 32x and 64x fast forward and rewind. Jump 30 secs with the prev/next buttons. On-screen icons, timebars and hints so you always know what's going on. Seamlessly expand your storage capacity by connecting a USB disk to Magic TV™. Copying, moving and playback from USB is all fully supported. Step-by-step guided setup, clear menus, 7-day electronic programme guide (EPG), and 'at-a-glance' front panel display all combine to provide easy operation for the whole family. The Magic TV™ remote control features 4 learning buttons which allow you to turn on your TV, change the input to Magic TV™ and adjust the volume of your sound system — all with one remote. The intuitive button layout, tactile buttons and colour-coding put every Magic TV™ feature at your fingertips. See what the world is watching - from the hottest music videos to what’s trending in gaming, entertainment, news, and more. Browse channels you love, share with friends, and watch on the biggest screen in the house. You can have fun exploring videos you love more easily and quickly than before. FOX+ brings together all the very best entertainment from 21st Century Fox and other Hollywood studios. You’ll find programmes from: FOX, National Geographic, 20th Century Fox films, Fox Searchlight Pictures, FOX Sports and more. Sign up for a 30-day trial at Fox+. 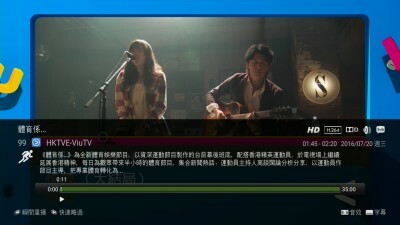 ViuTV is a brand new free TV channel in Hong Kong. It features variety and lifestyle programmes, dramas, news, sports and finance. 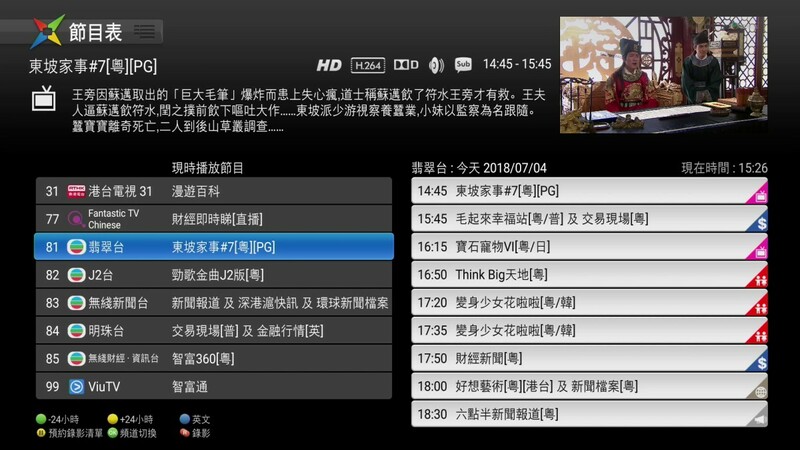 Magic TV™ supports live viewing and recording of ViuTV right from the normal EPGs, but using this app you can also watch your favourite ViuTV programmes on demand, whenever you want! 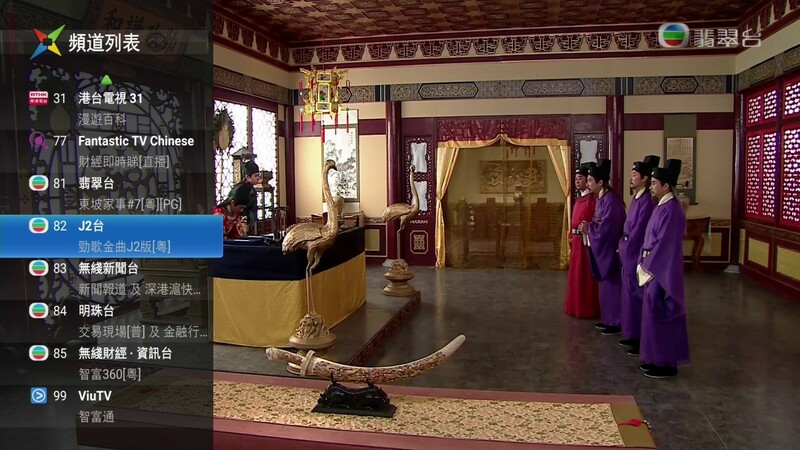 Be entertained with a variety of TV shows and movies from Korea, China, Japan, Taiwan and Thailand. All your favorite shows are translated into more than 150 languages by a community of avid fans! Stay entertained with TV and movies from popular genres including K-drama, C-Drama, romance, comedy, costume & period, SciFi & fantasy, action & adventure and beyond! Puffin TV is a special edition of Puffin Browser optimised for TV users for video watching, music listening and Internet surfing. Puffin TV removes the traditional web browser UI for a fully immersed TV experience. Puffin UI is kept as subtle and intuitive as possible. 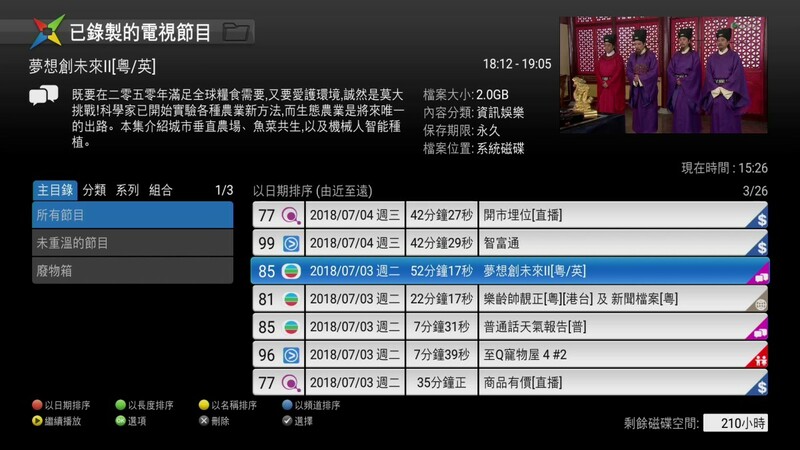 For example, Puffin TV automatically recommends most popular sites for users. It has never been easier to share a page from your smart phone to Puffin TV. Explore more than 2,000 TED Talks from remarkable people by topic and mood — from tech and science to the surprises of your own psychology — with subtitles in over 100 languages. Bloomberg TV+ gives you an extensive collection of videos covering the biggest and most important stories in the business world; and Bloomberg TV, a live 24-hour global business and financial news TV channel. The Bloomberg TV channel is watched by the most affluent and influential viewers in the world and includes topics such as technology, autos, luxury and travel. Watch videos in gorgeous HD, minus the ads, and follow categories, channels, and collections to fill your feed with amazing stuff each and every day. Welcome to the world of Red Bull TV, giving you front row access to live events, the very best in action sports, the hottest new music and entertainment and thrilling videos from world adventurers. Red Bull TV takes you beyond the ordinary with high quality on-demand and live streams so you can discover music from trend setting artists, watch live events with top athletes from around the world and follow globetrotting adventurers to the most exciting corners of the planet. Kodi™ media center, formerly known as XBMC™ Media Center, is an award-winning software media player and entertainment hub for digital media. It allows the user to easily browse and view videos, photos, podcasts, and music from a hard drive, local network, and the internet. VLC media player for Magic TV™ can play most video and audio files, as well as network streams and DVD ISOs. VLC is intended for everyone, has no ads, no in-app-purchases and no spying and is developed by passionate volunteers. Formats supported include MKV, MP4, AVI, MOV, Ogg, FLAC, TS, M2TS, Wav, and AAC. No separate downloads required. MX Player is a powerful video player with advanced hardware acceleration and subtitle support. 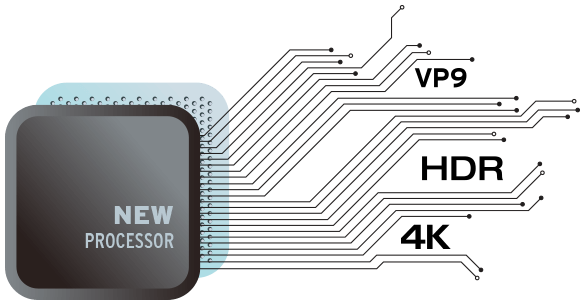 It is specifically designed to make use of multi-core processors inside Magic TV™. It can play most video and audio files, and has support for advanced subtitle styling. Experience both Spotify Free and Spotify Premium on Magic TV™. There are millions of songs on Spotify that can be browsed or searched by artist, album, genre, playlist, or record label from the comfort of your sofa. And while you are listening to your favourite tunes, check out the beautiful album artwork right there on the big screen. 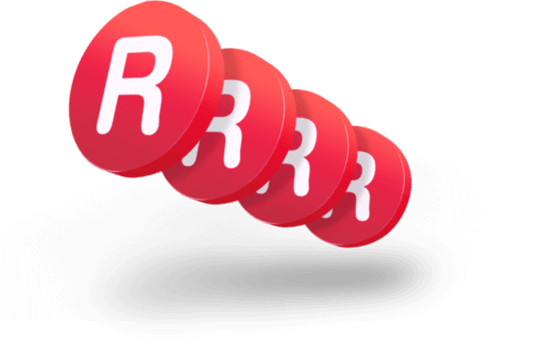 Listen to your favourite radio stations, internet radio, podcasts, shows & more, all for free with TuneIn Radio. With over 100,000 radio stations, TuneIn Radio has the largest selection of free sports, music, and talk & news radio from around the world. The most trusted weather information is now available through Magic TV™. AccuWeather is an engaging, fully-featured, interactive weather application with an easy-to-use and playful interface. With interactive Google™ maps, the application makes it possible for you to get detailed and up-to-date weather forecasts and news on your television from the most trusted brand in weather. “Mahjong”, a popular Chinese strategy game since ancient times, which can help in brain training. It is also a game that connects families and friends around the world. "Mahjong World" uniquely combines rules from Chinese, Taiwanese and Japanese mahjong into the game, and makes mahjong even more varied and challenging. 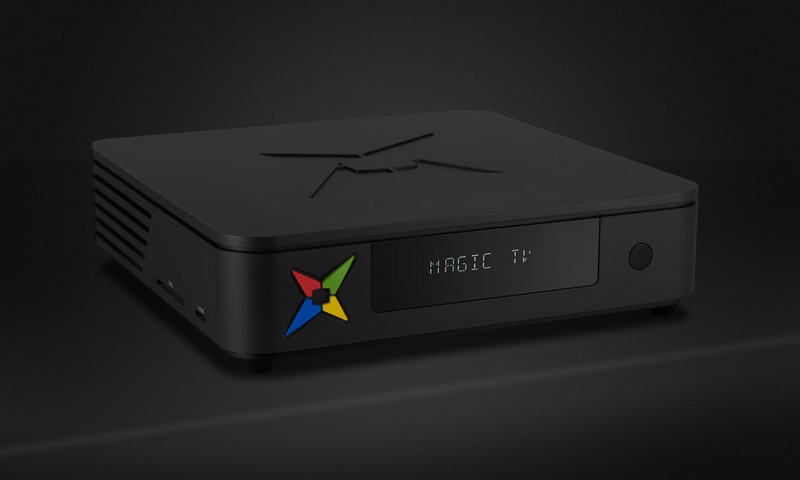 An internet connection to Magic TV™ is required to enable iEPG data, most apps, and Remote Recording. * Every effort is made to ensure the accuracy of iEPG data; however, Pixel Magic does not guarantee the accuracy or reliability of information supplied by broadcasters. © 2018 Pixel Magic Systems Ltd. All rights reserved. Magic TV and Pixel Magic are trademarks of Pixel Magic Systems Ltd. All other trademarks are the property of their respective owners. Specifications subject to change without notice.